Good points Jeff, and love the image. I can imagine the Railroad barons of years gone by had one that said “Trains = No Wings”. How many comments have we seen asking what business are we in? I think the changing media world is exciting and old radio businesses have heaps to offer, but from our perspective at Sth Cross Austereo, we determined years ago we are in the “entertainment” business, and our skill set was “content creation”. We also happen to be blessed with one of our own distribution channels, but that’s not our exclusive channel. Radio broadcasters have fantastic skills that create ‘new, live, local, unique and compelling content’ 24 hours a day, 7 days a week. What other media is geared to do that. Our music guys have skills in putting together playlists that ‘surprise & delight’ listeners like no playlist they can create themselves. We have a heap to offer, but only if we forget the old model of doing “radio” and see the new model of offering “entertainment solutions”. Love the discussion!! 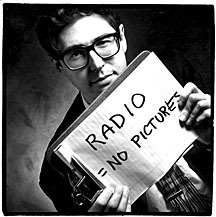 Thanks, John, When we think of radio as something other than that which is tethered to the broadcast tower, and when we look at research as something other than the box it’s usually put in (much as you’ve done at Southern Cross Austereo), it all gets to be a bit more fun again, doesn’t it? The “No Research” Legacy of Steve Jobs Is Radio Ready to Manage the Data Deluge?